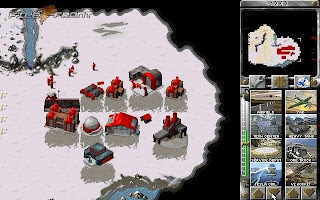 I was a mad computer gamer once. 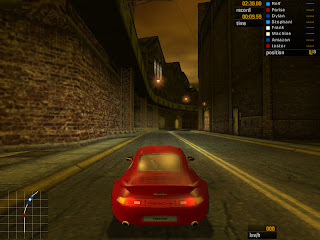 Started with Dave, came across many sorts and types of games and was almost addicted to them. It took me almost ten years to overcome my craze for it. Will just list my once most favorite games below.. 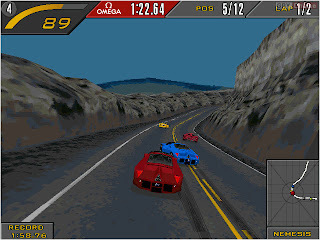 The racing games that i've almost played for god knows how many hours primely include Road Rash, and Need for Speed. 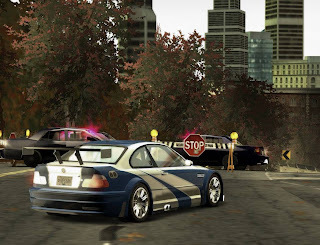 Need for Speed - Most wanted. 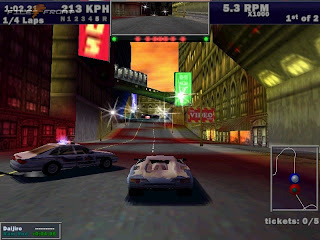 Besides these, i've played many other racing games like superbike, F1, Sega Rally, Motocross madness, motorbike madness etc., Of these, the one i've completed within two to three days time was the need for speed mostwanted where you need to clear all the 15 ranking levels to reach the top meet the most number of cops chasin you. 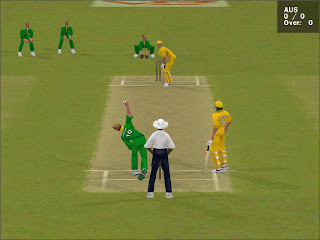 I was a mad gamer of cricket too. 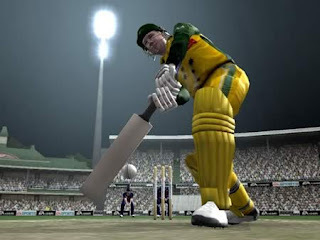 If India tours Australia, then i also will create a tour in these games and will make my batsmen score centuries. 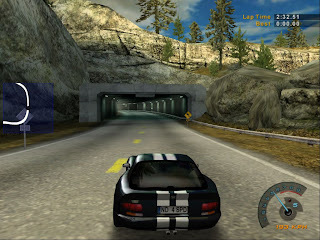 I dont know why, but it gave myself and my soul some immense pleasure playing this game. I have to blame the AI in these games though. There will always be some expectations before a new release comes. But once you find the way to score runs easily, then it will no longer be fun. 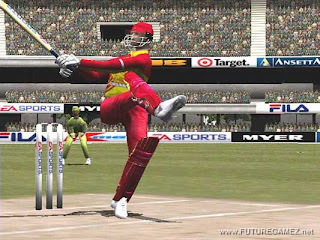 I remember my friend Jack playing the stupendous sixes when i was in hostel. 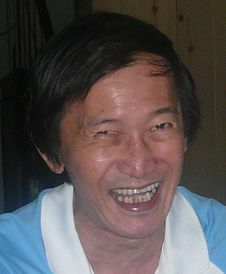 This guy created a character called Jacque. And before Richie Benaud finishes saying 'Jaaacque', we all will hear a sound 'bhokk' and you can see sixes flying all over the ground. Phalgun tried very hard at this game until he too found his rhythm when he first scored 90 odd using Dravid in medium difficulty while we were in 2nd yr of our college. 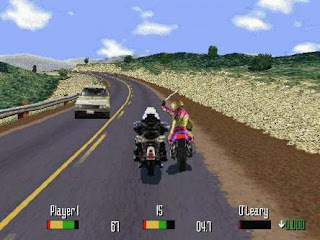 My friend Hari even started playing this game long time back. 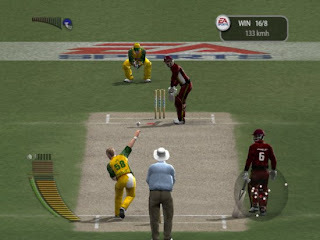 He is a master of EA Cricket 97. 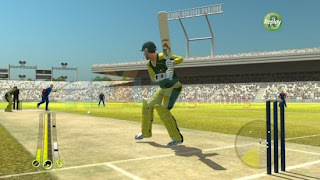 Comparing the AIs of Brain Lara Cricket and EA, nothing much to tell compare actually :). As i said, if you find the technique to score runs easily, the game starts become boring. But not for guys like Madhan. He used to tell that these cricket games had to be played with a spirit. Yeah, it will sound funny. But i dont know where his spirit will be when he makes India score 1000+ and keep on supporting team Australia. Special mention has to be made about the only test match myself and Baju played during our 2nd year in hostel. 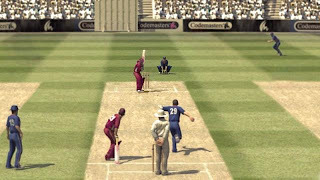 It was cricket 2002 i guess. I won the toss and elected to bat first. It was a five day test match!. Weather was great and pitch conditions favored batting. I used keyboard while he took joypad. It was versus type of game. I remember choosing India and he chose Australia. It was so funny, that he bowled to me for two full days. Although he racketed my top order, players from the tail like Bajji, Zaheer headed up and played the innings of their lives ;). I scored some 380 odd in 120 overs. Yeah! Baju bowled all 120 overs which meant some 750 odd balls. Thank god!, by the time indians got all out in their first innings, baju lost his nerve and we both accepted a draw on mutual agreement. Otherwise, i too would hav had to bowl for more than two days!! Those days i cannot forget!! 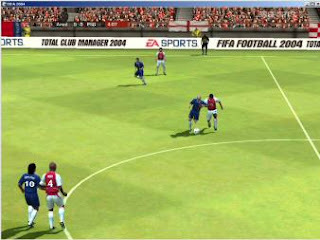 Another game that i've played like mad was FIFA. They all were from EA Sports. 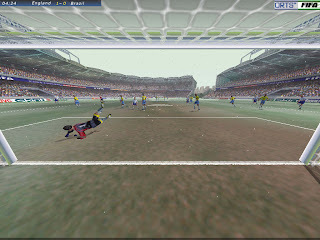 Never liked the Pro Evolution Soccer. 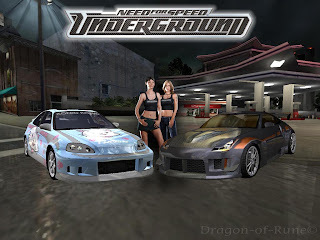 If you add all the games in the versions listed below, i would have played some 10000+ games scoring some 30000+ goals. 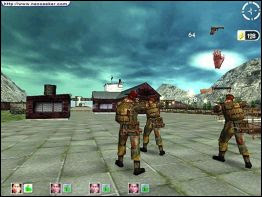 One best thing that reminds me about this game was again the fight between me and Baju in hostel. 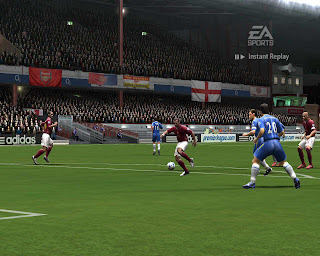 We used to play this in against mode and when say i score a goal, i'll sarcastically mock him heavily and i'l get the same treatment when he scores one. The audience used to be Kalaharan, Karate Prabhu, Jp, Kariyan. 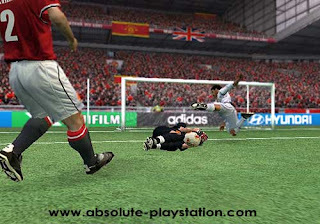 And i cannot forget Jp scoring a cheeky goal in Fifa 2006 over network in final year hostel. 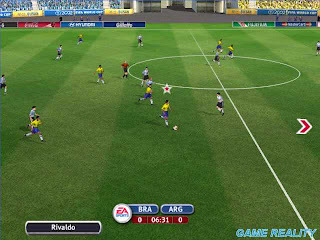 And sadly, my last FIFA game would be FIFA 2007. I dont think my system will support these hi-fi games. Even if they do, i've lost my craze for them. :(. But man, i've played this game like thousands of hours especially during my pre final and final years in college and first year at verizon. 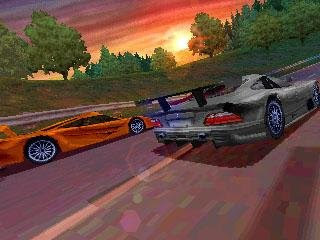 I'd like to specially mention about these two games which i once was really crazy about. 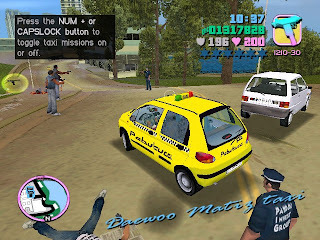 They were the GTA Vice City and San andreas. Its the gameplay. 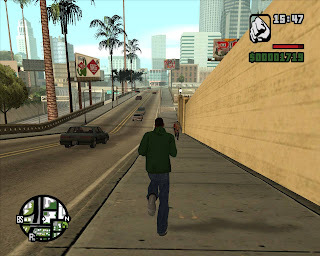 You are a thug who can roam around the city of Vice City/San Andreas and you get jobs from mafias and gundas like assasinating the president, successfully making a drug deal etc., These games were so cool. 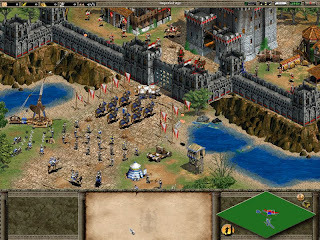 One of the most addicted strategical type games that i've played for a long time was Age of Empires 2. 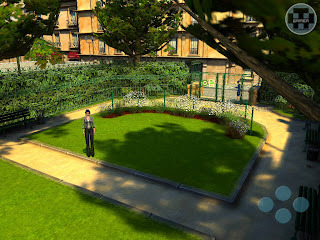 Although the game is very simple, one need to strategically plan on building the city to battles. 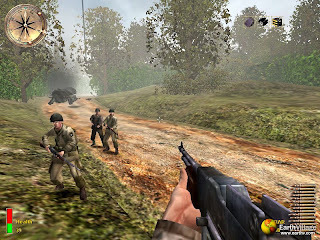 During our final year in college, this game was played for hours continuosly. 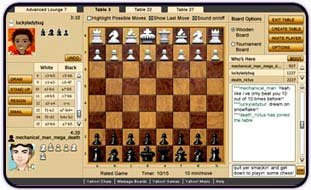 Professional players in this game include Raja, Jack, Karate Prabhu, Kalaharan, Vicky Vignesh and Jp. I remember HariG getting wiped out in a network game within minutes due to the strategic play of Jp and Raja. 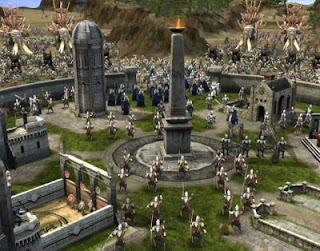 Besides AOE, i've played Lord of the Rings - The battle for middleEarth, Hidden and Dangerous, Caesar 3 and Red Alert. Broken sword 3 was a game filled with puzzles. I was able to finish it with the help of walkthroughs from internet :). And about puzzle type games, Baju used to play a game called 'Urutu Vilayatu', where the objective of the game is to roll a device time and again and it will make go back and forth in time. Other than that, it did not serve anything. Yet, Baju was real crazy about that one. Till date, i dont know why! 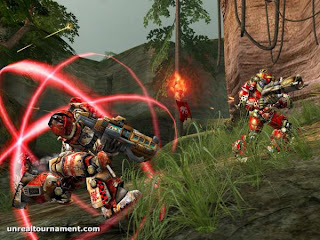 I was really ruthless when it comes to first person shooter especially during games like Call of Duty and Quake3. 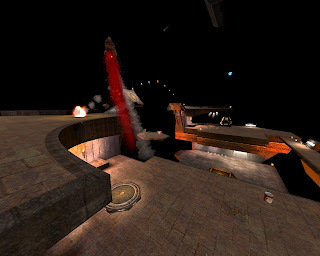 No one in hostel was really able to beat me in a terrain called 'Longest yard' in Quake3 Arena. Even in Call of duty, i was almost unbeatable when i was holding machine guns. Am not that good sniper. 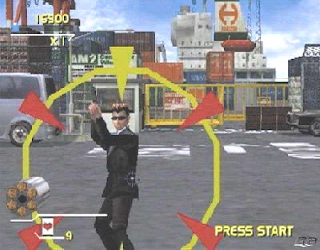 Sniping missions - Jp used to be the topper. We used to play individual games/team games. 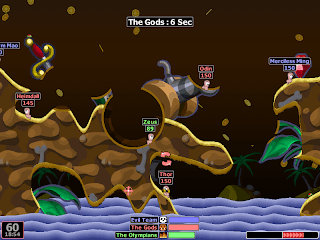 Virtual Cop, Worms World Party come under the miscellaneous category. These games, i've played for hours. Especially Worms world party, the cute sound of worms. And i cant forget Karate Prabhu involving in the game mostly as a spectator with a maths note in his hand :P . He did like this for almost 1 1/2 years!. And the current game that i've been playing is Yahoo! chess. Hope you've played atleast a few of the games i did and recall your funny memories over em!! Andkishm!!!!...alaadhu!! 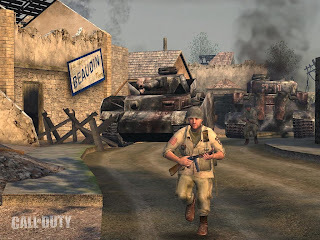 !u wont believe it..i am currently playing the Italian version of COD u gave me...still these two words re,main the same as they are in German! Unbelievable man. You were Gamer Geek. I had but lesser time in college for these. 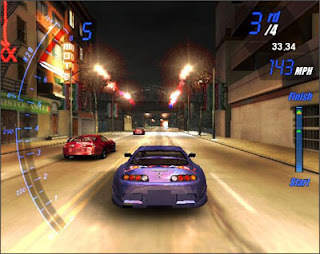 Still would play for hours games like NFS, Cricket and Warcraft.